@ Roman, thanks for sharing your opinion, Roman. Eric, I liked the simple way you explained that actually complex stuff. So everybody outside accounting science can follow and understand it. Don’t forget to have Sales and Engineering (you may need a competent medium) regularly talk about what is possible. There are most likely solutions and possibilities the customer is not aware of and sales may not know to market to them. At the same time sales needs to understand what is beyond the current capabilities of your company and what is obtainable as reach capabilities with the right pricing. It is a complicated interplay of communication and understanding throughout the company, and a primary reason for the difficulties in cost avoidance, lost sales, or sales overselling the capabilities of the company. It does not work well when a patient writes he own prescription. And, as Henry Ford said, ““If I’d asked my customers what they wanted, they’d have said a faster horse.” The use case is what is important, not the specific hardware or feature that the customer thinks will solve the use case. Enjoyed the article. I have been a proponent of cost avoidance and capturing the stats for years. Accounting has typically been the drawback because cost avoidance ‘is not real’. Last paragraph was key. Similar to the argument that inventory is an asset (no matter what it cost to build) vs. a costly liability. @John — Thank you for commenting. Some articles are self explanatory just from their titles. Love this one. Kevin J. Dutcher SAYS: It’s a compliment. I used it three times today. Great article! I have been preaching this to casting buyers for years, some agree but many don’t. As you say Eric, cost avoidance is not such a measurable metric UNLESS the management makes it one. 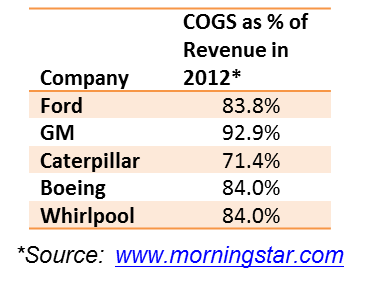 Perkins Caterpillar is a good example (in the past anyway) of a company who does/did measure cost avoidance. Gentlemen, I appreciate your interest and your kind words. A lot of Value in this presentation! Thank you Eric for this insight. My company has been providing Cost Engineering Services to Aerospace OEMs for several years and we have noticed a shift in thinking from Cost Reduction to Cost Engineering. In fact our revenues will shift from 60% Cost reduction / 40% Cost Avoidance to 40% Cost Reduction / 60% Cost Avoidance by the end of this year. I expect successive years to continue the trend. We are now contacted more by Engineering Managers than Supply Chain Managers. It seems that Supply Chain has their hands full to get the Quality and Delivery requirements from the suppliers. Those are ongoing issues no matter what the negotiated price. We have worked in teams with OEM Design Engineering, OEM Finance, OEM Purchasing, Supplier Sales, and Supplier Manufacturing Engineering to bring projects to production at or near the target cost. Fro there, the daily issues of Quality and Delivery have no distraction, the focus is on those. Especially valuable was your comment of getting the process and culture right before spending a lot on manpower and software. I’ve seen the aftermath of poor preparation and it set the OEM back about 10 years in Product Cost Management. Alice, that is encouraging to hear. I do see some change in the focus in isolated companies, but far too few. Don’t worried for my Company having the cost problem ! Actually, my Company is the best “low cost” company to provide the best quality for all customers in world ! In fact one company can provided any “low cost” and “good quality” same as my company, behind must have a good, super and cheaper engineer support it. I’m one of this support engineer who’s working in my Comapny with more 15 years with hardy. Do you believe my saying ? @Janson – Please do share your insight with us. How did your company become the best quality and lowest cost in the world. I for one am eager to learn. Roman Siemens SAYS: I agree, Janson i would realy happy to read about your expirience.. Excellent article! Cost avoidance is part of what I term very simply as “impact”. Surprisingly, not many companies that I’ve had the opportunity to interact with have a great handle on this factor. It’s a shame, as so many of the “acceptable” metrics today do not necessarily affect the bottom line and let’s face it folks – we can focus on EBITDA, etc all day long, but it’s that bottom line that is the pulse of our business health. Sure, we’ll have some up’s and downs, but the bottom line can’t as easily be affected by shell games as the individual sums of that metric can. Hat’s off to the organizations that address the “soft costs”, such as cost avoidance. Your margins will thank you! Thank you for your interest. To be honest, I take umbrage at calling Cost Avoidance “soft costs.” That is the PROBLEM! Managers call cost avoidance “soft” cost, when it is actually a “harder” cost than cost reductions. You and I are on the exact same page. I’m simply using industry jargon to be easily understood. Bottom line is that until “impact” is embraced and effectively measured, companies will continue to struggle. It’s interesting to see healthy banter on this topic, why aren’t more people participating? @Jon – in your role as a buyer of commodities, do you have a “Cost Avoidance” team supporting you? I ask this because so many suppliers are so frustrated, that they often don’t bother to suggest cost avoidance these days. Why are the suppliers frustrated? In my experience it’s because their customers, often (not always) present an almost finished product design for tender or quotation. The supplier can make representation regarding cost avoidance but, the designers have shut the window of opportunity. Mr. Coughtrie – In response to your request, unfortunately I have not been in an organization that has an official entity focused on cost avoidance. The product is sourced much in the same vein as described in your comment, however I must come to the defense of my current company as ability for a supplier partner to have influence in the product was the primary reason for my coming here. As a supplier before I was an employee, I was thoroughly impressed with the collaborative environment between both supplier and customer Engineering groups to affect positive change in the product. Not exactly what I think you’re looking for, but at a quasi-functional piont at least. How has such a cost avoidance function been implemented in your history? I’m very interested in the structure of such a function. Hi guys, i have spent my career in thebigger companies, where cost driven designing is part of the culture. To achieve this, you need some decent overhead to set up procedures, instructions, gather info to set up or determine new processes. Smaller companies often cannot afford such overhead. Now even th ebigger companies seem to suffer from this overhead drainage, cost pressure is so intense that the necessairy engineering support , to work ahead of the bunch, become too expensive. So whilst the market would benefit from cost designing , that same market also asks for cheap prodcuts now, cheaper than cheap, by doing this creating a new cost problem in the near future. That is an interesting observation about the cost to do Product Cost Management. However, I see that as either an excuse or a sign that people are practicing Product Cost Management incorrectly. 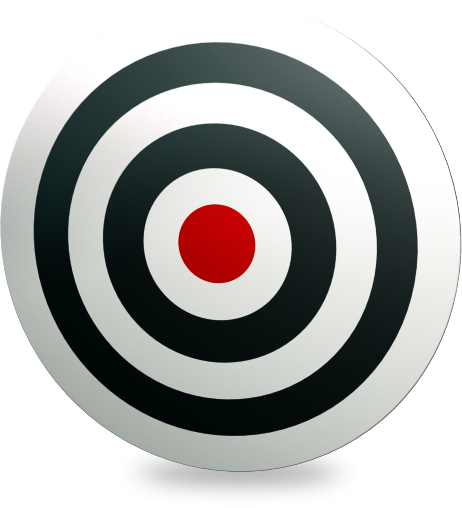 Much like the failure of Activity Based Costing (ABC), a large part of the failure people have with PCM is their obsession of having “accuracy” beyond the inherent noise level of the system. 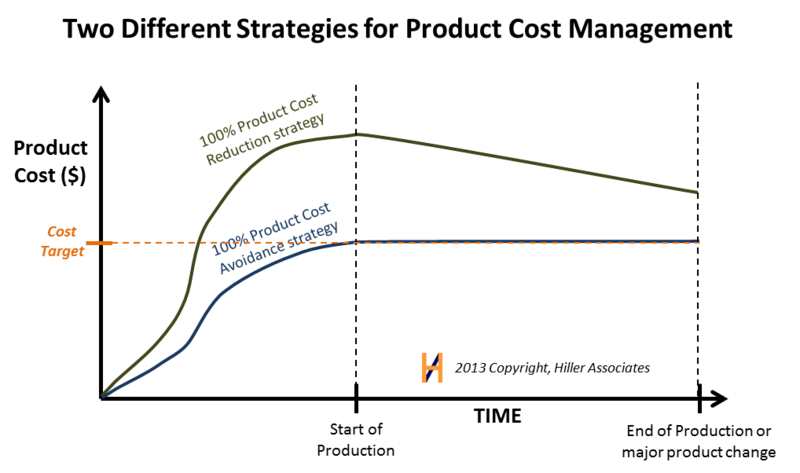 It is possible to set up a model for the cost of factory and material resources that is reasonable accurate for design decision making purposes (evaluating design idea A vs. idea B vs. idea C), and for identifying the bottlenecks in factories. We want high relevance, not high reliability for good Product Cost Management. @Jon, your explanation is clear. My experience of formal “Cost avoidance” teams has always been driven by the purchasing function of the customer. This has been initiated sometimes by the customer and sometimes by ourselves as the supplier. The fundamental task is in the early supplier selection. The supplier or “supply partner” selection must be during the early product design stage! Sometimes this can even mean a complete change in manufacturing process required for the product. A pressing can become a casting, an Iron casting can become an Aluminum casting, an aluminum casting can become a forging. Rarely does the customer “design team” have enough wide ranging manufacturing experience to select the absolutely correct process. Also, rarely do potential suppliers offer alternatives which may preclude them from the bidding process. That puts you back to needing a “cost avoidance” team who are open to all possibilities but, crucially, are able to give logical analysis which can be quantified as a Metric. Good “cost avoidance” teams can be made up of staff from the buyers company and a cross section of their best “supply partners”. That way you can get quick unbiased recommendations with cost estimate comparisons validating the cost avoidance. Moderator reposting comment from Linked in group. The key factor is, when a company need to reduce the cost is an indicator of a bad cost controlling, a good planner has to be always looking for new ways to reduce the costs. In my opinion, cost controlling and cost reduction have the same level of importance and they have to ‘work’ together. The highest cost in my experience are the workforce and the inventory costs. A lot of mid size and large companies have a bad inventory management. It occupate an space in the warehouse (equal to money every month) and generate a lower level of quality. The correct worker managing the inventory combined with the automatization of the processes can be a way to reduce the cost with an impact of the final price of our products. Other way to reduce the costs in our company is look for the gap in our production line, I mean, which products can use common parts to obtain the same result? If we can find it we will reduce the cost of our product (better prices from the supplier), an easier operations management. I think the example below is addecuate to our conversation. Do you think the decision had a direct impact in the customer satisfaction?